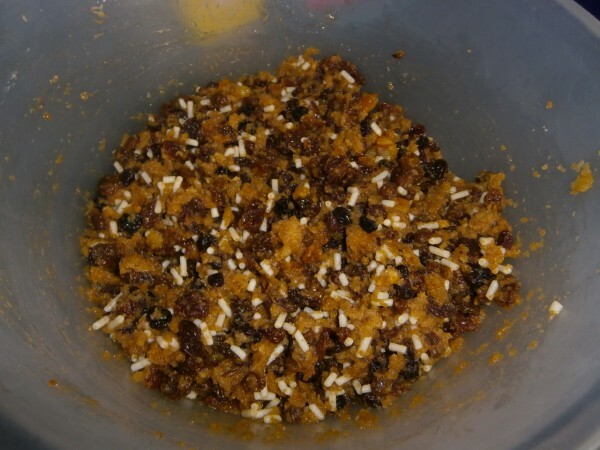 I love a slice of Christmas cake with cheese on Christmas night, and the smell of the spice when it is cooking, so making one is an essential part of the preparations for me. 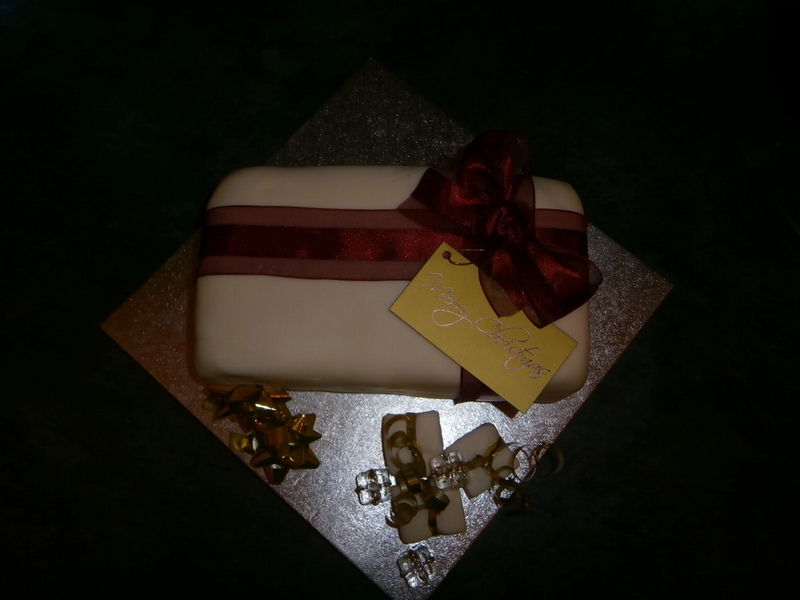 I have lost count of the number of rich fruit cake recipes that I have tried over the years considering that I also use the same type of recipe for celebration cakes. One of my favourites is an old Victorian recipe, however it needs making at least 3 months in advance and that isn’t always convenient. So today I am making a last minute recipe that will have matured beautifully by Christmas Day. It is also very simple to make and as much as I love cooking, we all have busy lives. It makes a more golden, less heavy cake than the long maturing recipes. I made this one today and it is on the cooling rack. This recipe makes a 20cm square cake. 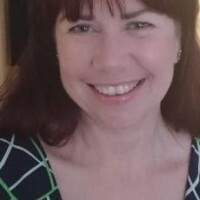 I am going to cut it in half closer to Christmas and decorate one half with marzipan and sugar paste, and the other half will be left plain to eat with cheese. 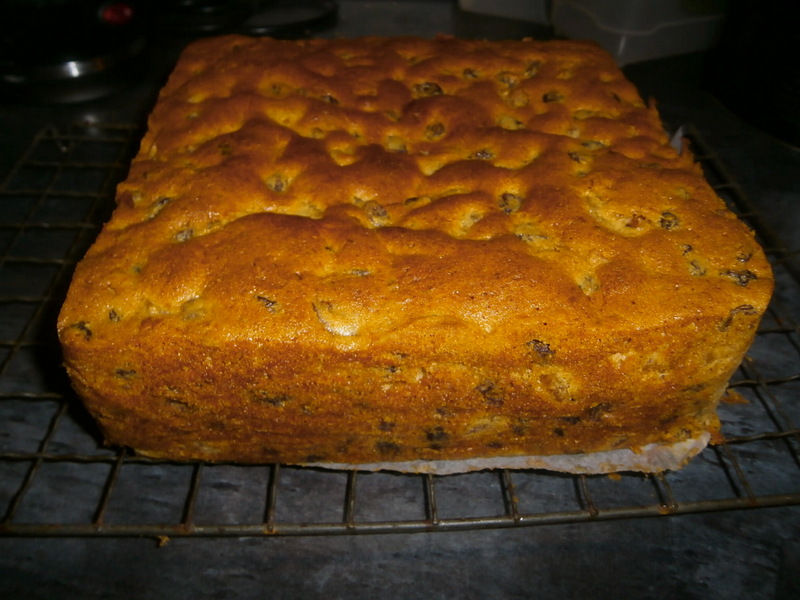 This cake can be made with any dried fruit that you like as long as you have 600g in total. 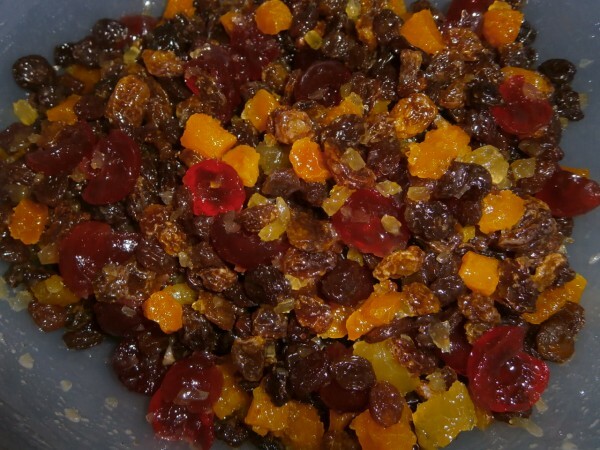 The recipe already contains glace cherries, and I don't recommend adding any more, but suitable dried fruits are sultanas, raisins, dried apricots, dried dates, dried sour cherries, dried cranberries, candied peel, and anything else you can think of. Personally I don't really like currants but they are suitable too. Warm the whisky or alternative and mix with the dried fruit, and ginger. Leave to stand for 30 minutes whilst you carry on with the rest of the recipe. If you can do this the day before they will have time to get better acquainted. Preheat the oven to 160c/140c fan/320f/gas mark 3 Line a 20cm square tin. I wrap the outside with a double layer of brown paper so that the edges don't get overcooked before the middle is ready. Put all the ingredients except the steeped fruits and cherries into a large bowl. Beat with a mixer for 2 minutes until the mixture is smooth. You can do this with a wooden spoon but it will take a bit longer. Fold in the fruit and cherries, spoon into the prepared tin, and level. Bake for 1 hour 30 minutes to 1 hour forty five minutes. When ready it will be golden brown, firm to the touch, and an inserted skewer will come out clean. Stand for 10 minutes and then transfer to a cooling rack. 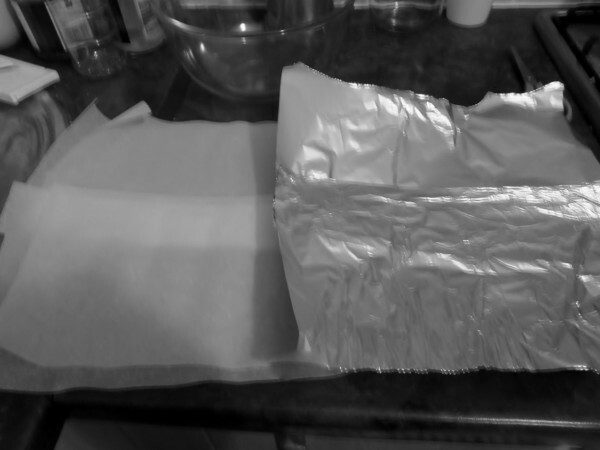 Once completely cold wrap in baking paper and then foil to make a tight parcel, and store until you are ready to decorate or eat it. If you want to (and I do) you can unwrap a couple of times and feed with more spirit. Just add a couple of tbsp each time. 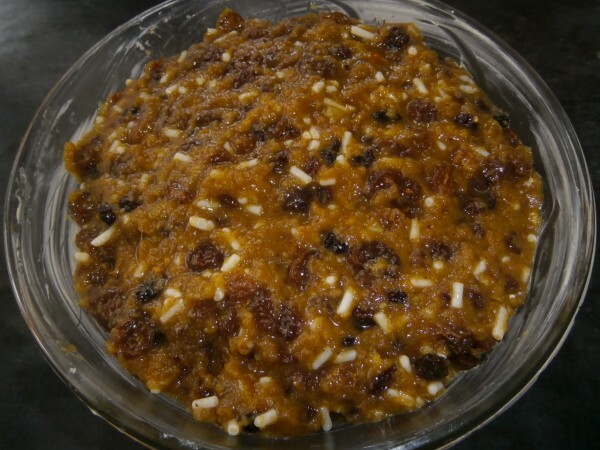 Stir up Sunday, or in my family Pudding Sunday, is nearly here, so if you haven’t got a recipe sorted yet, or find traditional recipes too heavy, this is for you. It is always the Sunday before Advent, so this year 22nd November. For me it is a family tradition passed down through the generations and I look forward to it as the start of the season. Decorations come a lot, lot later, but the smell of Christmas on a dark November day fills me with cheer. It takes no time to make, just ages to steam. I enjoy the day around the house, fire on, relaxing with a glass of something warming. 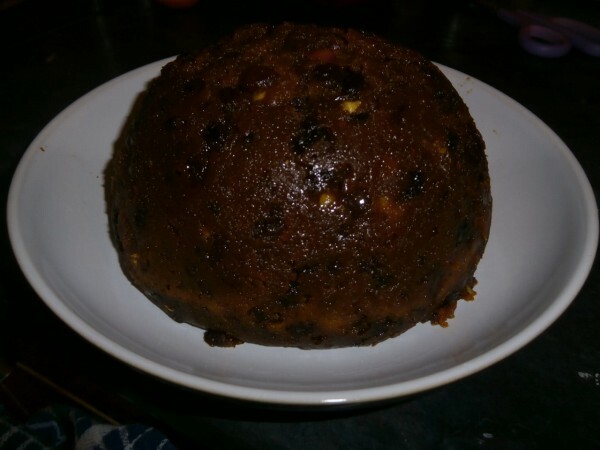 This makes a delicious Christmas Pudding, with all of the flavour in a lighter texture than a traditional pudding. It has converted more than a few who didn't like it previously. I like to serve it flamed with brandy and lashings of sweet white sauce. Combine everything except the eggs in a non-metallic bowl, cover, and leave to stand overnight. Next day add the beaten eggs, stir well, and then get everyone to stir and make a wish. Generously butter a 900ml pudding basin, spoon in the mixture, pushing down well and level. 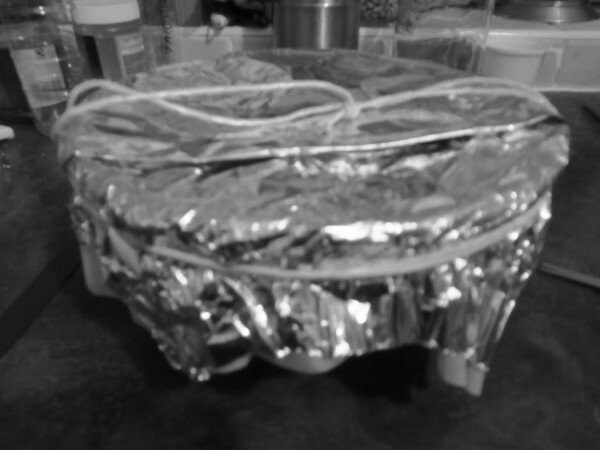 Cover with a double layer of baking paper, and a single layer of foil, both pleated, and tie tightly with string. Steam gently for 5 hours. Once cool re-wrap with clean paper and foil. Store in a cool place until Christmas. On Christmas Day steam again for 2 hours before serving. Half fill a metal ladle with brandy and heat over a gas flame or candle until hot enough to light. 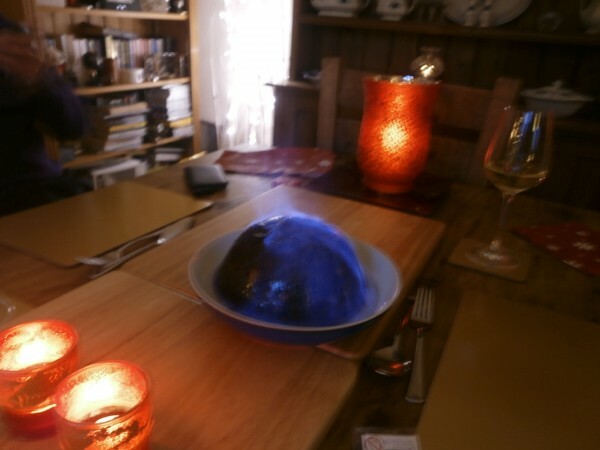 Pour the flaming brandy over the pudding, and carry to the table. There should be applause! Flapjack is not a pancake! Kristin on Delicious scones soon gone! Cheryl on How did this happen?